DJing techniques are all built around moving turntables – around record players. The biggest news from Native Instruments today is that the company is finally bringing that tactile, kinetic experience to a digital controller you might actually go and buy. 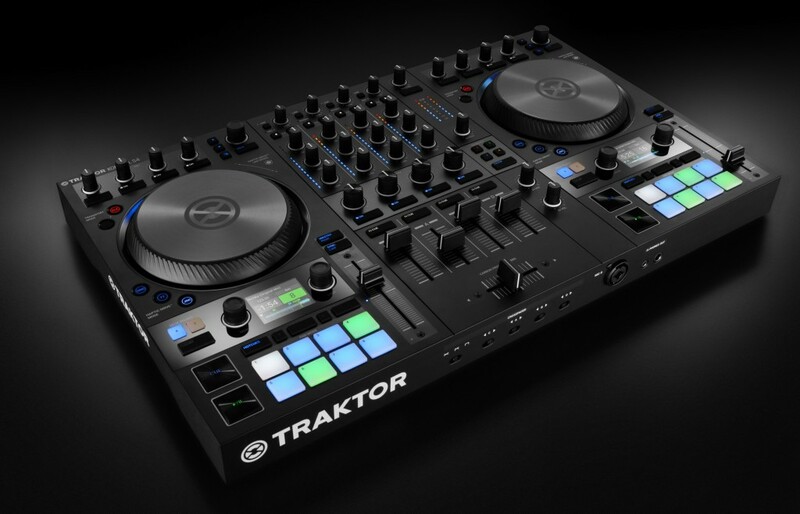 Meet the TRAKTOR KONTROL S4 MK3. 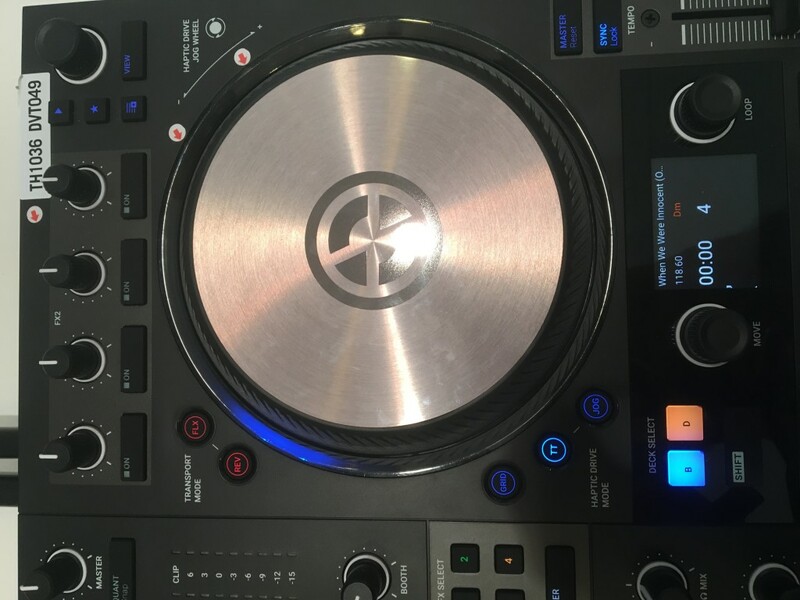 Native Instruments has had a big role in popularizing digital vinyl control, and later has had some of the most sophisticated jog wheel sensing. But a turntable with control vinyl can be unreliable and impractical, and controllers, no matter how good their sensing, don’t give much in the way of haptic, kinetic feedback. You can push them, but they don’t really push back. So those jog wheels have more in common with controls for video decks than they do audio. And in turn, NI has fallen behind in recent controllers, venturing into a side track (excuse the pun) working with touchpads, which proved even less sensitive and tactile than the wheels they replaced. The solution: make something that moves, that responds the way a real-world object would in terms of resistance and gesture, and map it intelligently to software. It’s a haptic, digital wheel. You get advantages over the mechanical-analog solution, too: greater reliability, flexibility (you can adjust how it behaves interactively), lighter weight, and lower cost. Plugging real turntables into computers is novel and interesting, but it’s still impractical, like plugging old telephone switchboards …. oh, wait. Uh… sorry, forget the metaphor, as everyone is into Eurorack which is exactly using old telephone switchboards. Let me start over: these wheels feel great, and for digital DJs, finally allow the kind of feedback that make digital fun to play. No matter how much you love vinyl, being able to DJ with digital files matters. Pressing vinyl carries some cost in time and money, and translates into unsold inventory for lower-demand items. Digital DJing is important because it allows independent underground labels with small budgets to put out music and let DJs play it. And it’s essential for times when you can’t carry record bags. What’s exciting about the new S4 is, it finally makes digital DJing start to feel less like a compromise. If anything has a chance of unseating Pioneer’s ubiquity in booths, it’s a rival maker replacing lifeless wheels with moving ones – assuming Pioneer don’t quickly respond with a CDJ-3000NXSmove or whatever they want to call it. 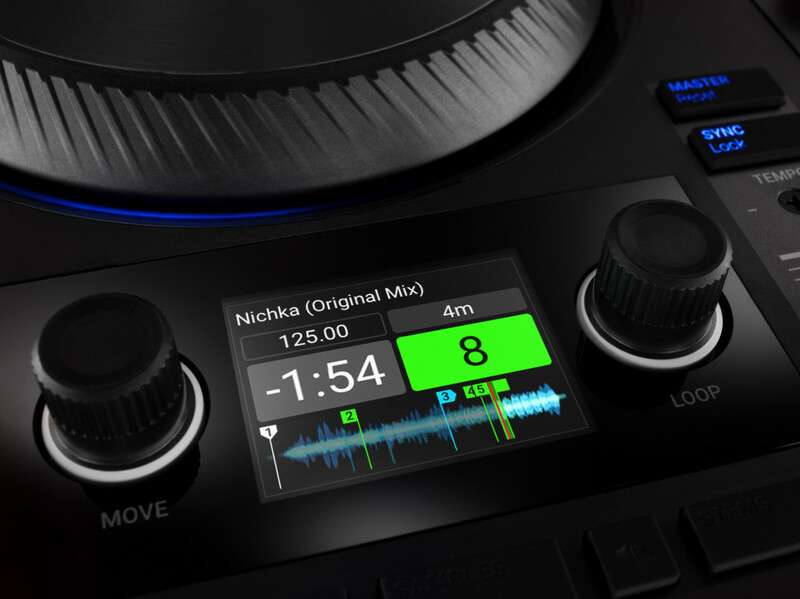 But as for independent DJs, here’s the thing: that Denon deck costs US$1899 per deck. So your rig will cost around 4 grand even before you add a mixer. The S4 MKIII by comparison will be available in November for USD/EUR 899 for the entire package. So that’s within reach of the an aspiring DJ. NI let the press get our hands on the new S4. And in just a few minutes of playing with it, I was already hooked. Visual feedback. The RGB light rings around the wheels aren’t just for show: they provide additional visual feedback, and it looks like they’ll be adjustable/configurable (or you may even be able to switch them off if you want). High-res displays: waveform strip, track title, loop length and activation, key, BPM, plus Stem and Remix Decks. You don’t get touchscreens this time round – though you’d be pretty greedy to ask for them with those two wheels, of course. But the displays, like those we’ve seen on Maschine, are really nice and information-rich. 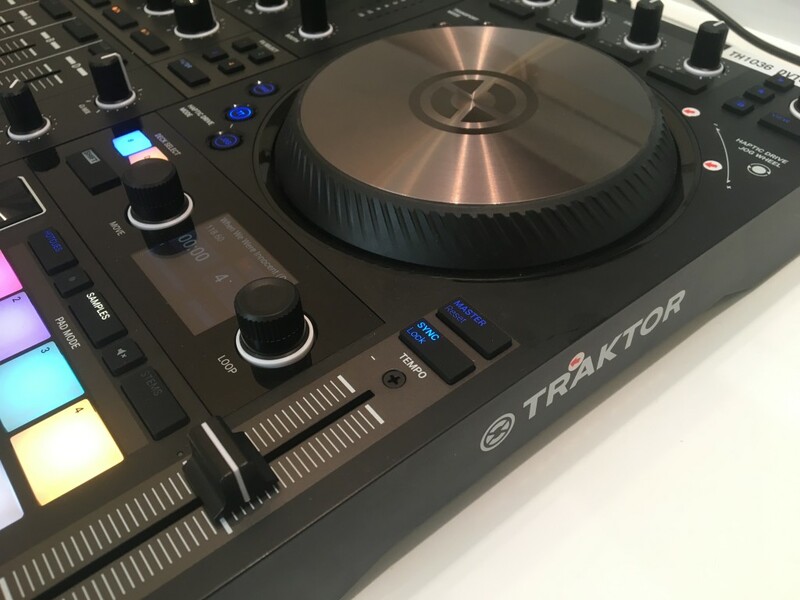 STEMS and Remix Decks: Oh yeah – love them or hate them, the two signature TRAKTOR features are back, and benefit from those great screens. STEMS remains a compelling idea, and it seems while its obvious application for tracks with vocals hasn’t caught on, it has a niche following in some techno circles. Remix Decks remain a clever way of loading up samples and extras. 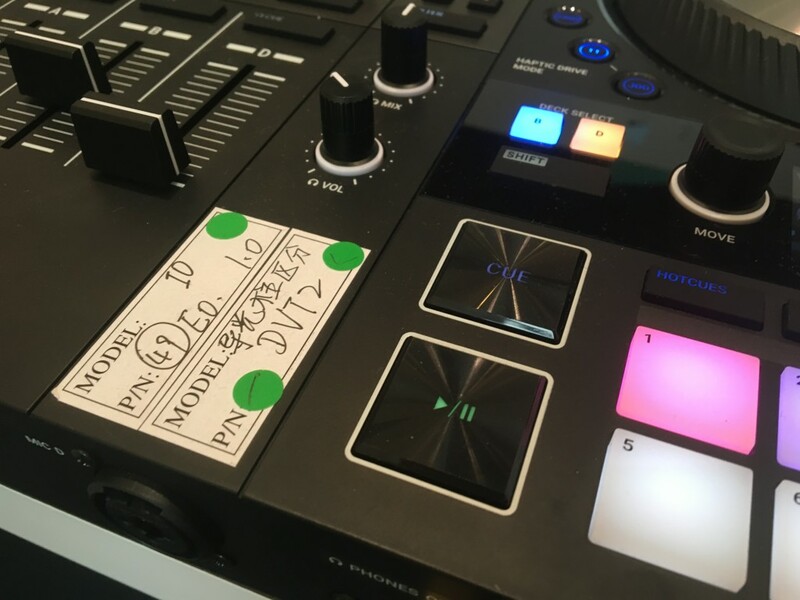 Built-in audio interface, multiple inputs: Oh yeah, remember how I complained yesterday that the new Pioneer XDJ-RR has only one stereo input? This has inputs on each channel. So you can add vinyl or other machines and add in records or play hybrid sets. There are multiple microphone inputs, too. Faders that are dirt and particle-resistant. All-new “Carbon Protect” faders are inverted carbon strips that help keep foreign substances from gumming up your faders. Nice. A new TRAKTOR. The other important story here is that TRAKTOR itself gets a major updated – the long-anticipated TRAKTOR 3. And there’s lots of good stuff there, which I’ll cover separately. So, for around a grand now, you have two new “intermediate” options for DJs that look really promising. There’s Pioneer, with their Rekordbox-ready standalone all-in-one – upside, no computer and full compatibility with CDJs, downside, not really a mixer. 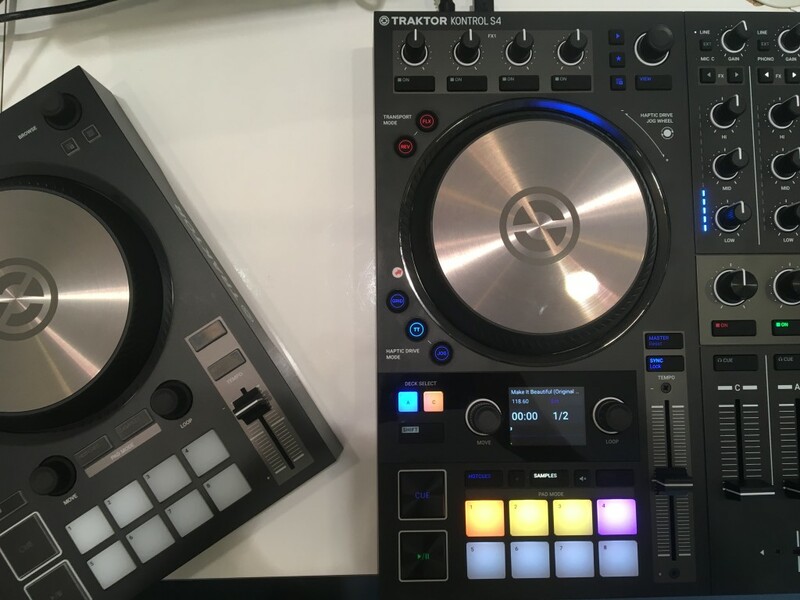 Or there’s NI, with their TRAKTOR S4 MKIII solution, adding a new kinetic experience and mixing capability while actually coming in at a lower cost than previous flagships. Requires a computer, yes but … can also do a bit more. And the wheels move. The question to me is, is the S4 MKIII good enough that you’ll want to lug it to gigs. Because then Reakordbox compatibility ceases to matter, and you show up with something different. Stay tuned for a hands-on.